For over two decades, Merit Sensor Systems has assisted customers to design, fabricate, assemble and package reliable, cost-effective piezoresistive pressure sensor solutions for industrial, automotive, defense, aviation, medical and consumer applications. 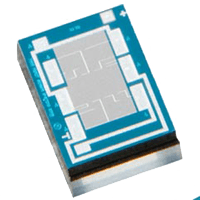 Merit Sensor offers comprehensive service design capabilities, piezoresistive technology (PRT), packaging and assembly, flexible shipping, in-house wafer fabrication, complete pressure measurement (absolute, differential, gage, and vacuum) expansive pressure ranges (0.15 psi to 15,000 psi), and unsurpassed operating temperature range (-40 °C to 150 °C) via Merit Sensor’s Sentium® process. Also, Merit Sensor is able to provide unparalleled flexibility to tailor pressure sensing solutions to match customers’ applications. 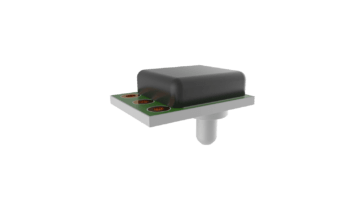 Compared to other pressure sensor suppliers, Merit Sensor can offer customers totally custom-made pressure sensor designs with large or smaller/limited production runs. Merit Sensor’s customers range from pressure sensor transducer manufacturers who are already experts in pressure sensing technology and depend on Merit Sensor for highly stable and sensitive MEMS sensing elements (bare die), to customers who have limited to no experience in the pressure sensing world and seek Merit Sensor to assist with a totally custom design and implementation of a pressure sensor that ideally fits their application. Flexibility Sensitivity, resistance, bridge, constraint, etc. Standard Bond Pad Metallization = Aluminum. Absolute also; other contraints available. Example: 7SO-0300-9T offers 5kohm Impedance, Open Bridge, 100 psi and Gage Constraint. Note: “T” in part number = sawn wafer on tape in metal frame.